Looking pulled together and stylish as well as stretching the wardrobe budget to the fullest is important for modern gentlemen. 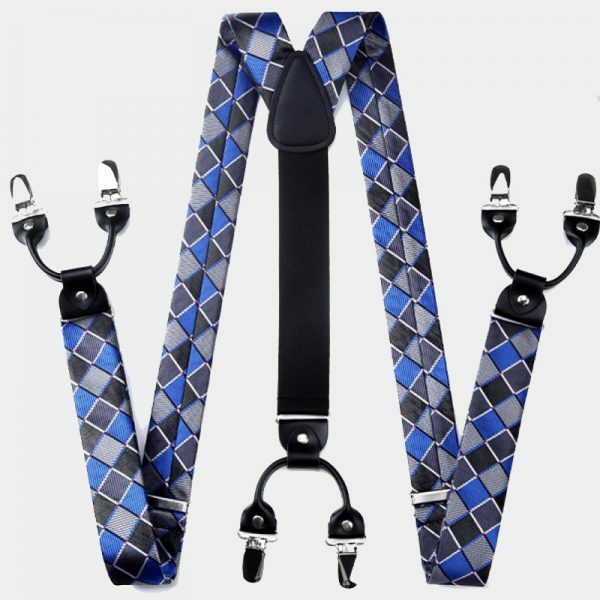 This masculine blue and black plaid bow tie and suspenders set helps you to do just that. 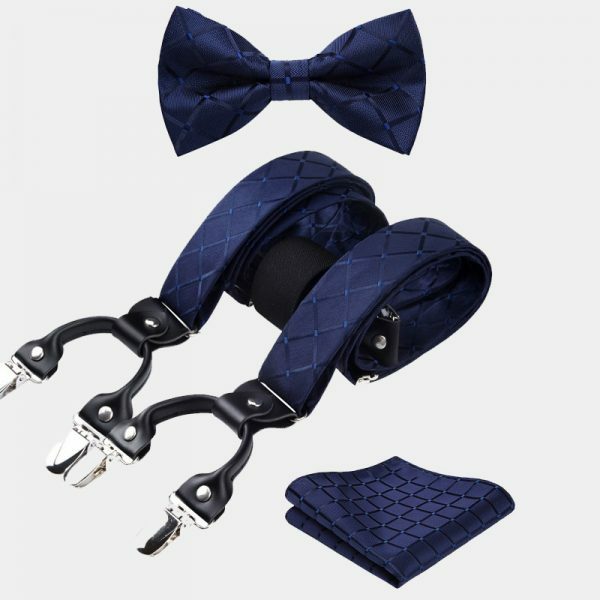 Without you ever saying a word, this set makes a statement about your class and sophistication. 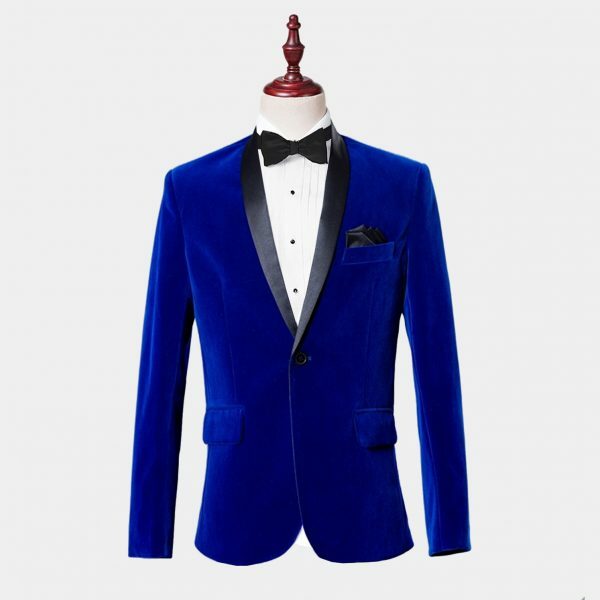 It makes an excellent addition to your wedding, anniversary, or prom formal wear looks. 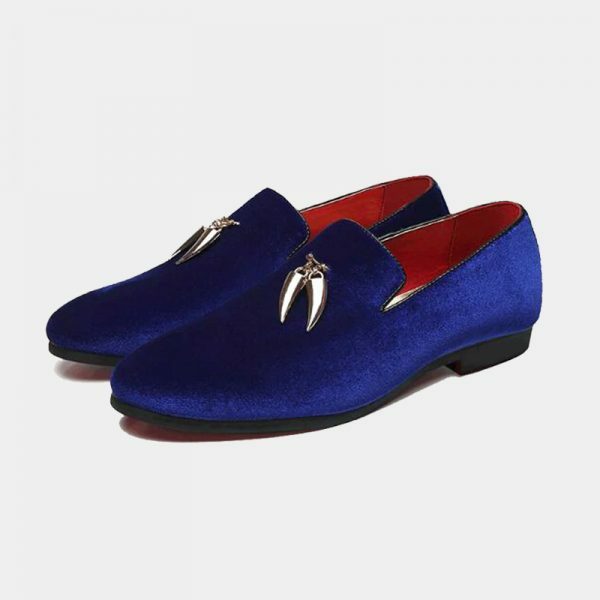 It is also an eye-catching accent to your business wear or casual attire. This exceptional blue and black plaid bow tie and suspenders set is handcrafted with colorful, high-quality materials. 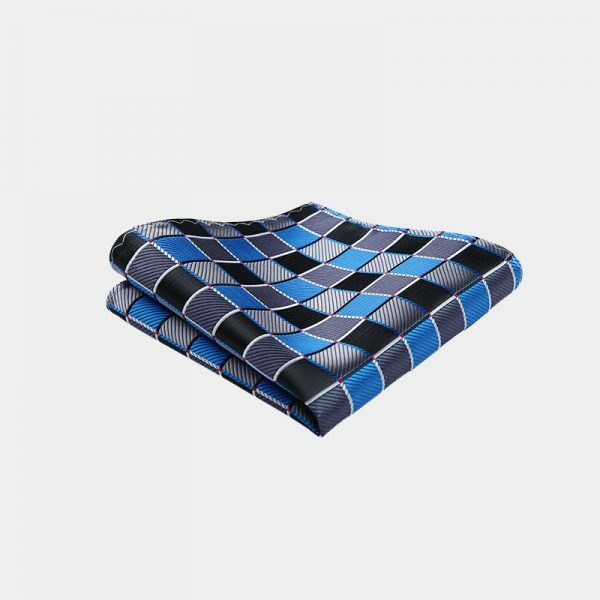 The masculine plaid print looks great and is sure to complement almost everything you pair it with. This set comes with one set of fully adjustable suspenders as well as a matching pre-tied bow tie and a pocket square. These soft and durable accessories can be worn separately or as the set which makes them a great value for your money. It is easy and affordable to upgrade your wardrobe. 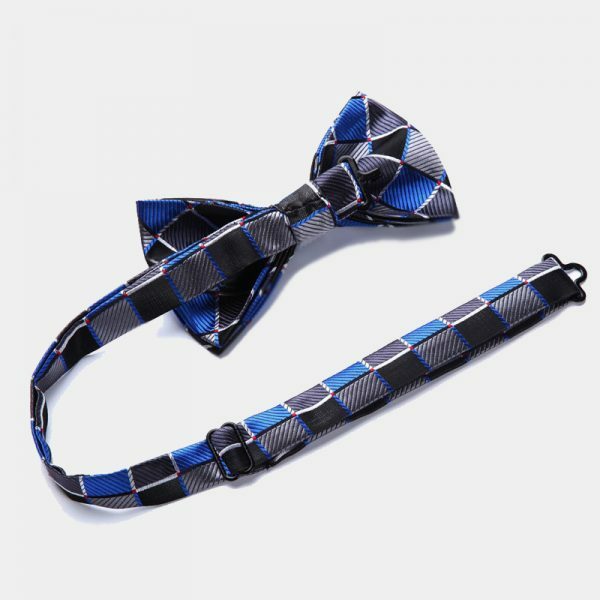 Purchase your own handsome blue and black plaid bow tie and suspenders set today.